A comprehensive list of my metas on Sherlock including Semantics in Healthcare Series and the Walking Nightmares for Medical students series. This series of essays explore the real world of medicine/policing/law and what it can tell us about the characters in Sherlock. Ever wondered what John really did as an army doctor? What Molly Hooper actually does for a living? What really happens to people to steal body parts from morgues? Why Sherlock isn’t the only consulting detective in the world? How the Met police is going to survival the post-TRF scandal? These essays are a fun, tongue-in-cheek, attempt to bend reality to fit BBC Sherlock. How we can reconcile John’s military combat with his career as a doctor in the army - could he have had two careers? How much does John actually know about science - can he help Sherlock with his experiments? If Sherlock did have a mental health problem how equipped would John Watson be at diagnosing it? What’s working life really like for a doctor? What does John Watson do as a GP? A short accurate guide to medical care in the UK. The life of a doctor is far less glamourous than people might think. Written from personal experience: what John’s life as a young doctor would have been like. I explore the reasons why John Watson was discharge from the army (and it is unlikely to be due to PTSD). I also explain the discharge process and calculate John Watson’s army pension from his CV. I have written before that doctors are very valuable to the armed forces – they would not be discharged for a shoulder injury or a psychosomatic limp. Both of these things do not prevent John from being an army GP. Something more must have happened for an experienced doctor like John to be discharged. Written from personal experience: what medical school life would have been life for John Watson. I explore the fun he might have had with human dissection and bacteria in petri dishes, as well as why medical school helps John in his crime solving. Using screen caps from The Blind Banker put together by Trishkafibble, I demystify John’s CV for readers and explain the significance of little details. In the process I discuss John’s medical career, and his training. Much has been discussed about Sherlock’s childhood. In this essay I use John Watson’s CV to deduce what John’s childhood would have been like, his family background, his upbringing and his career choices. 10. Accounting for John - Why does a Doctor have to ask Sherlock for Money? Analysing John's financial situation and why a doctor may at times be very strapped for cash in London. A very hypothetical look at what would happen if Dr Watson ever decided to become a serial killer, and the methods that he would use. What exactly does Miss Molly Hooper do? I offer three possible solutions to the dilemma of her job: pathologist, morgue technician and surgeon (yes, Miss Hooper could be a surgeon). Why Sally and Anderson were not motivated by greed, jealousy or a determination to bring Sherlock down during TRF. Why Sally is an incredibly brave, conscientiousness person who was placed in a very difficult situation. What will happen to Lestrade and the rest of his team after the Fall? Would Lestrade go to jail? Could Mycroft lend them a helping hand? 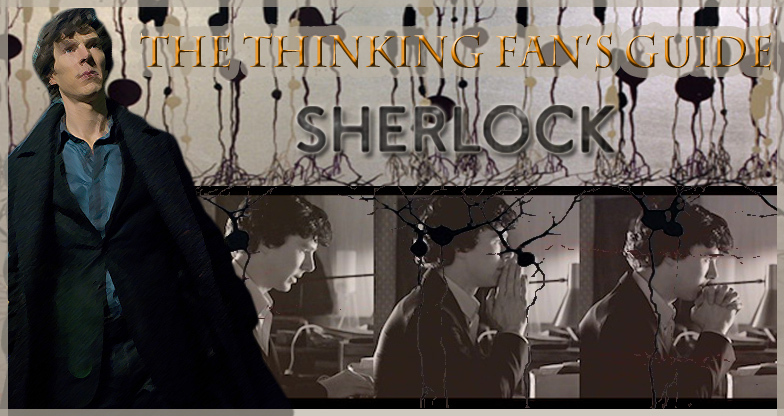 A series of essays discussing the real, suspected and imagined psychological issues that occur in BBC Sherlock. Does Sherlock have autism? Can you really cure a psychosomatic limp with crime solving? Is Mycroft the real sociopath in the Holmes family? These essays aim to provide a quick, easy to understand guide to the real world of psychiatry and how Sherlock canon can fit into reality. Is Mycroft the real psychopath in the Holmes family? I get out the official diagnostic criteria and explain some uncomfortable truths about Mycroft and the condition. The professional opinions of four psychiatrists specialising in diagnosing Asperger's and Autism on why Sherlock does not have either condition and why this character should not be used as a representation of Asperger's Syndrome or Autism in the media. Exactly what is wrong with Jim Moriarty? This is one character in Sherlock who definitely has a psychiatric condition (or two). What is bipolar? and more importantly does Sherlock have it? In the process of answering these questions I also take a look at the history of medicine and the limits of psychiatry. I've done a great deal of psychiatric assessment for Sherlock but nearly enough on our favourite army doctor - so I try to answer the question of whether John has PTSD and end up coming to a very different conclusion from the one that I expected. I certainly think John is suffering - but not from PTSD. What would Sherlock's IQ score be? Does his high intelligence explain why he's so antisocial? What does the most dangerous man you will ever meet actually do for living? What did Mycroft really do with Irene Adler Why does Irene give Jim Moriarty all the credit? Reading between the lines during Mycroft and Irene's confrontation to reveal the full extent of Irene's genius! What exactly happened after Sherlock cracked Irene's phone? How did Sherlock manage to save Irene? Ever wonder where Mycroft gets all his money from and where his mansion in AsiB is actually situation? Where did Mycroft and Sherlock go to school? Why it is unlikely they were home schooled and what their school life would have been like. A series of metas analysing Sherlock, Mycroft, their personalities and their relationship to each other. I propose alternative theories to those widely held in fandom about their childhood, relationship and their superior skills at deduction. I explain why Sherlock and Mycroft seem similar superficially but are actually very different people. They are not reflections of each other but deserve to have their unique individualities analysed and to be credited as individuals. Ever wondered how Mycroft and Sherlock invented deduction? The answer is they didn't. Deduction is a skill that is used frequently by many different professions and a skill that anyone can master with enough teaching and training. I explain the truth about deduction and how the Holmes Brothers could have learnt it later in life - separately. Why does Sherlock behave in the way he does? I explore why he does not need a psychiatric diagnosis and what may have happened in his childhood to cause his maladjusted emotional responses. Using the development maturation model - I explore why the Holmes brothers have developed very different approaches to managing emotions and what this can tell us about their mother. A series of metas dedicated to looking at wide range of different aspects within the BBC Sherlock universe. Many fans think that Sherlock went to Cambridge - so what would his life have been like at this University and what subjects would have been studied? Is Sherlock independently wealthy? This essay examines potential sources of Sherlock's income, why modern day Sherlock would not earn quite as much as his Victorian counterpart, and why Sherlock decided to get a flatmate. An introduction to the wonderful variety of accents in the British Isles and an analysis of the accents heard in Sherlock from Mycroft to Lestrade. Is John’s service firearm legal? How did he manage to keep it with him after leaving the army? Does Lestrade have the right to carry a gun? I explore gun legislation in the UK, police use of firearms and explain some theories about just how John managed to smuggle his gun out of the army. An exploration of Sherlock's drug habit, the history of cocaine/morphine use, and how brain biochemistry can explain why Sherlock always needs a case. If you've ever wondered why Sherlock behaves so erratically - the biochemistry has already provided us with an answer and its got nothing to do with mental illness. A humourous guide to the British national obsession with tea. I explore why Sherlock is littered with tea references and the various tea drinking habits of native Brits. Why does Mycroft wear a three piece suit? 9. On Sherlock, The UK and Why England is not a "country"
Thanks for all these informative write-ups! I'm wondering how realistic it is for someone to not notice that a skewer has been shoved through their military uniform into their gut, and whether a tight belt would postpone their bleeding to death. My apologies if I've overlooked a write-up that you've already posted about this. Hi! I've spent HOURS on your tumblr site but never commented, glad I can do it here. I LOVE your Sherlock metas, all of them, but most of all the medical/psychiatric ones because you really don't find that sort of thing anywhere else. I'm in the legal profession but often confronted with mental health issues, so your metas couldn't be too academic for me, don't worry about that. Anyway may I add you as a friend so I don't miss any of your Sherlock posts? Hi, I am so sorry this comment is months late. Yes of course you can add me as a friend. I am most flattered. Don't worry! RL comes first, of course. But it's lovely to see that you're writing Sherlock metas again. I've missed them! I wish I could add you as my friend, but unfortunately, LiveJournal only allows paying members to do that.